Justine Kasoki is a widowed, displaced farmer and mother of eight children in the Democratic Republic of the Congo. In my hometown, I farmed cassava, beans, and maize. I lived off the produce from my fields, and my life was fairly easy. But strangers invaded our town and massacred many people, including my husband. I fled and sought refuge in another town. Here I’ve had a difficult life. My mother is old, and I don’t have any way to feed my eight children. Currently I survive by working as a day laborer, but I make little money. I thank Samaritan’s Purse for hosting a fair where I could buy food and other necessities. They gave me tokens to purchase the items so that I could get exactly what my family needed. Thanks to this assistance, I found life. Now we have clothes and we aren’t so hungry. DRC Projects The Democratic Republic of the Congo (DRC) has faced a 20-year civil war that has left 5 million people dead and 2.6 million currently displaced. Samaritan's Purse continues to help survivors of the war by providing feeding, nutrition, and agriculture programs, along with other projects. 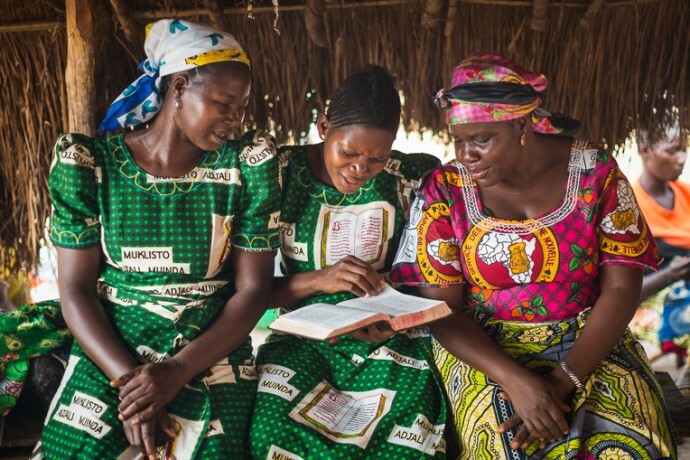 In addition to meeting physical needs, we have helped rebuild churches and train pastors and Christians in the Word of God, giving them the tools to spiritually love and support their neighbors as they continue facing violence. When food runs out, hope is scarce. It’s a situation often seen in countries where people are left to starve because of natural disasters, war and genocide, and widespread poverty. Samaritan’s Purse is committed to reaching out to the hungry with both physical and spiritual nourishment. Often, we focus on feeding large groups of people in emergency situations. Other times, we address a chronic lack of food or nutrition. We also provide daily meals through school feeding programs to promote attendance, improve performance, and nourish growing bodies.